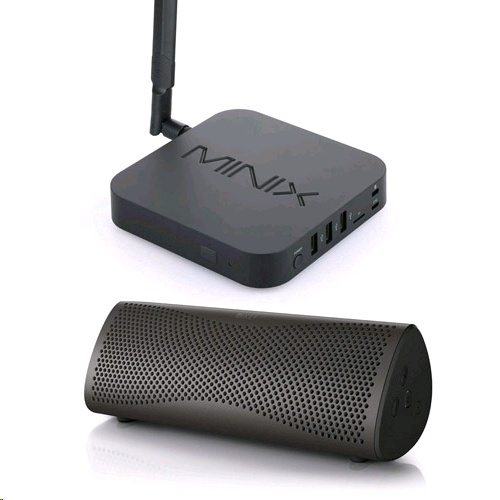 MINIX NEO U1 is the ultimate home entertainment media hub (TV box and mini PC) powered by Android, designed to bring a world of online entertainment to your living room; including web browsing, stunning Ultra High-Definition video playback and real-time streaming, access to popular media player apps such as KODI, screen-casting capability, local media playback capability via USB port, Internet radio and audio streaming services, Skype along with other VoIP services, Android gaming and much more. NEO U1 showcases the latest wireless advancements with the inclusion of 802.11ac 2 x 2 MIMO Dual-Band Wi-Fi (2.4GHz/5.0GHz), combining both an internal and external antenna to accomplish lightning-fast, flawless streaming. NEO U1 also features Gigabit Ethernet for those who prefer a wired connection. NEO U1 is built for the video purists, delivering an incredibly rich and intense cinematic experience. It is our first Media Hub for Android™ to support video output up to 4K @ 60Hz, pioneering cutting-edge technologies to achieve ultra-sharp 4K imagery and enhanced media playback quality. NEO U1 supports up to 10-bit colour format, significantly increasing the dynamic range of colours displayed, adding new depths and vibrant picture quality not found on previous Media Hubs for Android™. NEO U1 offers improved application performance and responsiveness thanks to running Android Lollipop 5.1.1 OS. While MINIX’s exclusive launcher presents a clean, well-designed and accessible interface that makes finding what you want easier than ever. Our F.O.T.A (Firmware-Over-The-Air) Update System means all updates will be available to download and install automatically onto your NEO U1.